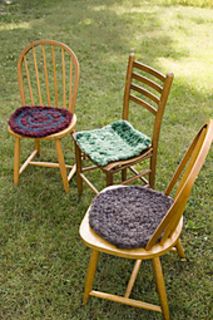 If you were in the Girl Scouts, you might have sat on a little cushion or mat called a “Sit-Upon.” This is the festival version, ideal for metal folding chairs, hard concrete floors or benches, or sitting on bleachers. At home, it can be dressed up into seat pads for your dining room, a yoga meditation cushion, or even a placemat for a dog’s water bowl. Don’t hesitate to get creative with this one! 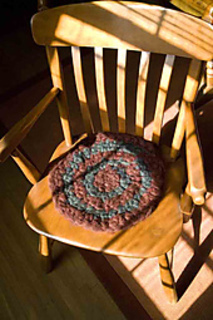 A larger mat can be felted for a firmer texture, or crochet it much bigger, add some rubber backing and you’ll have a fabulous rug or dog bed. 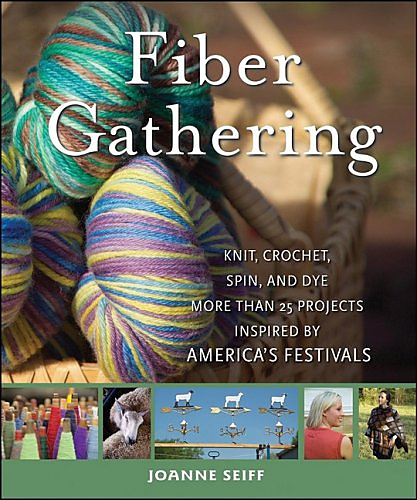 NOTE: This uses 5-6 oz(140-170g) of medium to coarse wool roving for one circular or square Sit Upon. 3-4 oz (85-113g) each of 2 colors of medium to coarse wool roving to make a 2 color circular Sit Upon.